Divani Caravel Hotel | Welcome! The Divani Caravel Hotel, member of the Leading Hotels of the World, enjoys a prime location in the heart of this iconic city making it the ideal location to visit Athens major attractions. Divani Caravel offers spacious accommodation and luxurious facilities that will please even the most demanding guests. 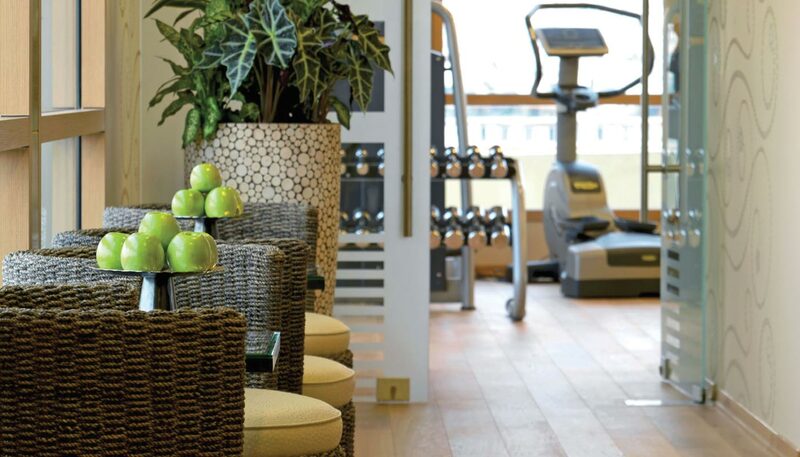 The hotel offers elegant rooms and sumptuous suites, a variety of restaurants and lounge/bars, a rooftop health club, indoor/outdoor swimming pool with amazing views to the city and one of the biggest congress and banquet centers in Athens. All these, plus spectacular views of the Acropolis and Lycabettus Hill, from the upper floors. Our beautiful 139 Superior rooms are a private heaven of tranquility and modernity. The soft neutral palettes, the cozy room and the spacious bathroom will have you feeling right at home. 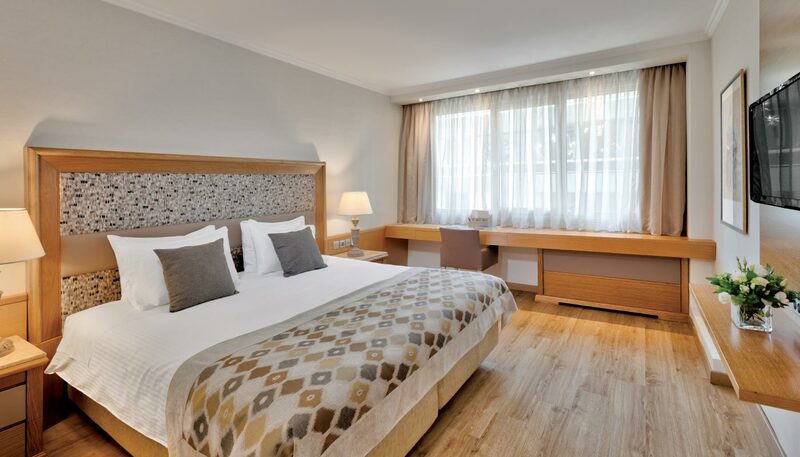 These rooms offer beautiful views to the city of Athens, park or Lycabettus Hill. 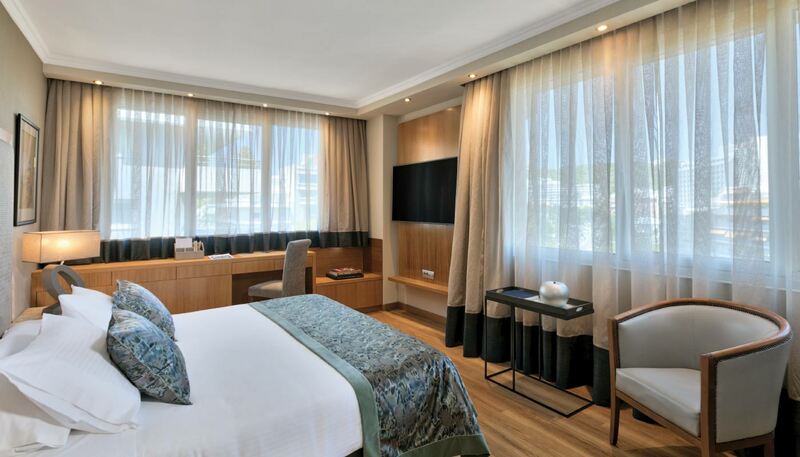 Our 109 Executive Rooms are superbly appointed offering beautiful views of Athens, Acropolis and Lycabettus Hill. With unique details discovered in every corner these rooms exude a unique essence of contemporary elegance. Guests will find a private heaven of tranquility in their spacious bedroom and a luxurious bathroom. 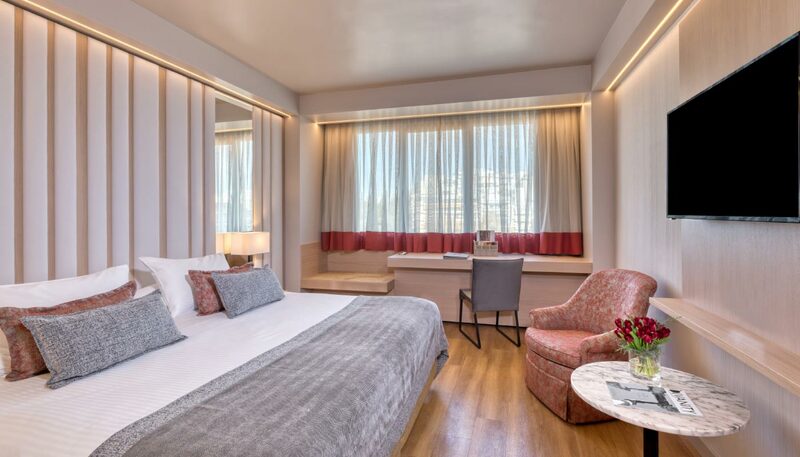 These beautiful suites are elegantly decorated in soothing tones and impeccably furnished to give a residential feel in the city center of Athens. Here our guests will find a spacious master bedroom, a luxurious marble bathroom, a fully equipped living room and a modern dining area. 55 sq.m. / 592 sq. ft.
with a complete escape and allow you to experience the very best of this beautiful city. 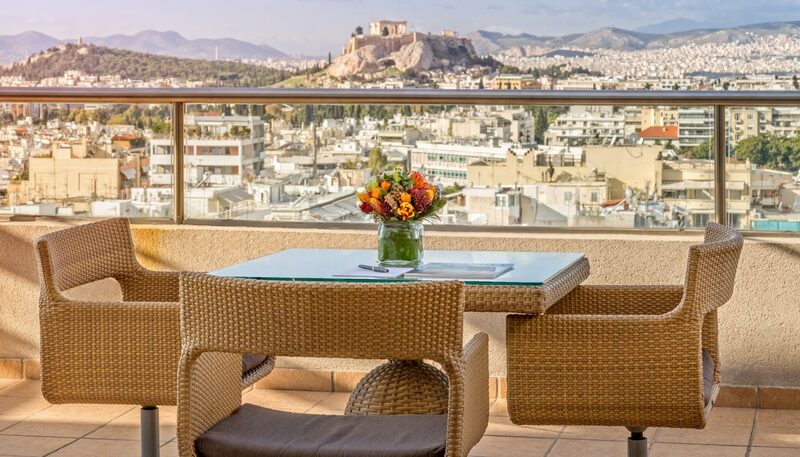 The Peak Health Club and Spa is located on the hotel rooftop and literally bathes in the sun offering stunning views of the city and the Acropolis. Come and discover a place of peace and harmony, decorated in delicate colors with relaxing music and scented candles. 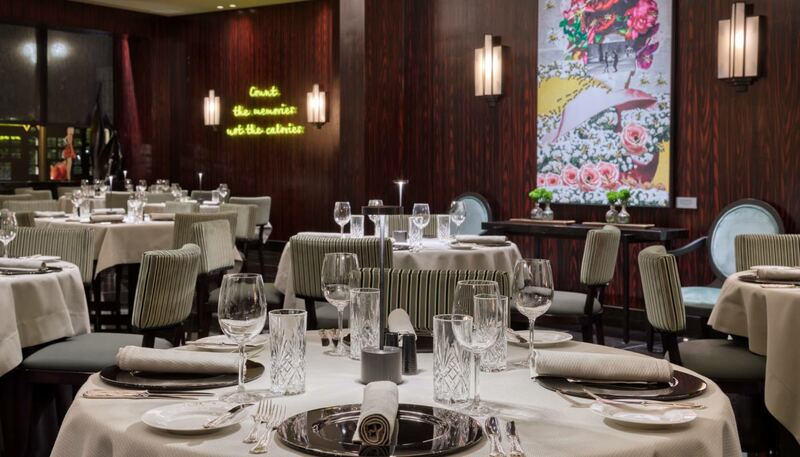 From fine dining to relaxed bites by the pool our guests have 4 dining options offering memorable experiences. At Divani Caravel guests will find something to tempt every appetite and the perfect meal for any occasion, served by the most attentive and welcoming teams. 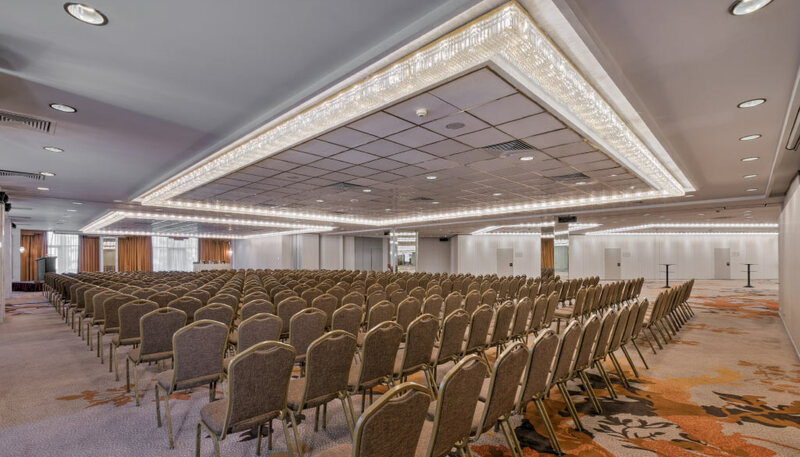 Our central hotel in Athens is a magnificent venue for meetings and an excellent conference center. since they also possess hi-tech features and amenities.